All Good Things do not Need to Come to an End! Some things are so good you need to bring them back! 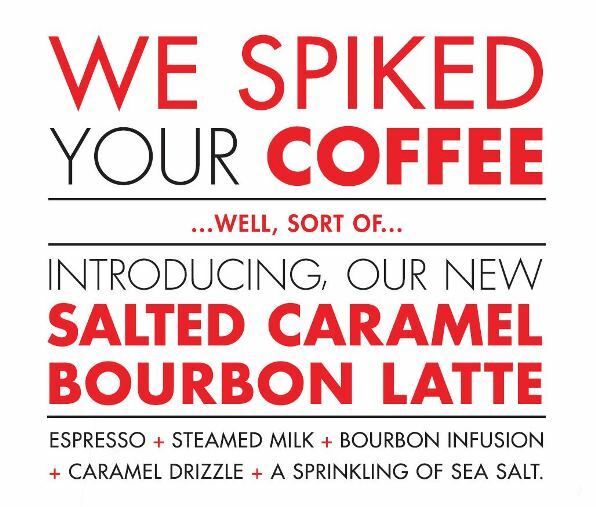 Our limited edition Fall Favourite is available once more – Salted Caramel Bourbon Latte. It’s a delicious combination of custom roasted espresso, perfectly steamed milk, infused bourbon, caramel + sea salt. These all play together to create an amazing flavourful experience that seems perfect for Fall weather and cozy sweaters. Don’t just take our word for it though. Visit us at any one of our 9 café locations throughout Vancouver and the lower mainland + give one a try. But hurry, because although there will never be an end to this delicious latte, it will only be available each fall!